The Cabot MM-4000 is a versatile, high performance colposcope designed to meet more demanding needs from gynecologic examinations to teaching and research. An optical beamsplitter allows attachment of a co-observation tube and photographic -video and 35mm accessories simultaneously for variable magnification and features. Magnification on photographic accessories and the co-observation tube is identical to magnification viewed through the binocular tubes. 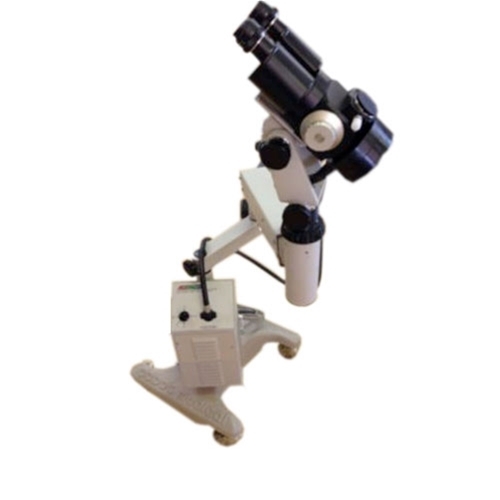 It features wide field of view binocular eyepieces, an adjustable fine focus, an articulating adjustable arm, a fiber optic light source, and a fiber optic cable.